UDM Downloads > AVCLabs Audio Converter for Mac! Super fast DRM music converter for Mac OS X Since the virtual CD emulates your computer RAM and hard disk as erasable CD-RW drive (Virtual CD-RW), the converting speed is at least 10 times faster than any other programs which use recording as one of the core converting tricks. Its ability to convert DRM protected music files into regular MP3 files makes it a perfect solution for people who purchase their music online but have compatibility issues with their MP3 player. 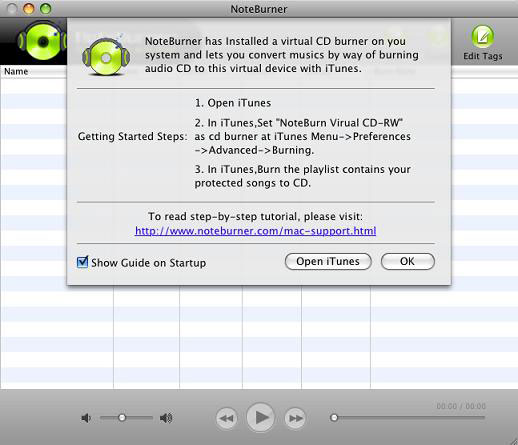 Remove DRM Control Legally Acting as a virtual CD burner, AVCLabs DRM Music Covnerter for Mac can automatically remove DRM protection from iTunes audio files which you have the right to play, sync, and burn. It legally rips audio files such as DRM WMA, M4P, M4B and AA formats, then saving the music as MP3 and AAC files, so that you can listen on your iPod, iPhone, Zune, PSP, MP3 player and much more without any restrictions or DRM protection. Convert M4P, M4B and AAC to MP3 or AAC AVCLabs DRM Music Converter is a sound file format converter for Mac. Convert audio files from many different file formats into mp3, aac files such as M4P to MP3, M4P to AAC, M4B to MP3, M4A to MP3, M4B to AAC, M4A to AAC, AA to mp3, mp3 to AAC and much more.